The Imo State Governor, Chief Rochas Okorocha, has confirmed that Alhaji Atiku Abubakar leaving the ruling All Progressives Congress was not a good development for the party. Atiku who was a former Vice President of Nigeria recently defected from the ruling party to join the Peoples Democratic Party ahead of the 2019 Presidential Election. 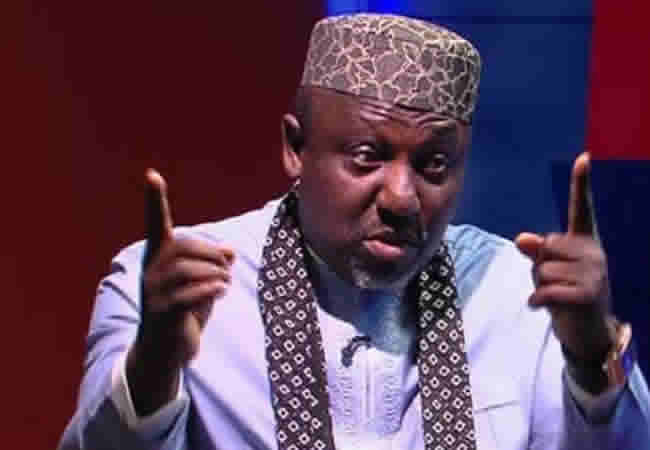 Okorocha, who spoke with journalists after receiving an honorary doctorate degree at the Adekunle Ajasin University, Akungba Akoko, Ondo State on Saturday, however, described Abubakar as a heavyweight politician. The Imo State Governor, however, noted that since Atiku had decided to move on politically by going to another political party, the APC would make amend and his (Atiku) place will be filled up accordingly. 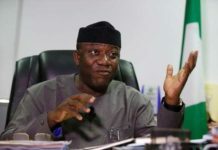 Reacting to the recent statement credited to the National Leader of the APC, Asiwaju Ahmed Tinubu, which said there would be no automatic ticket for President Muhammadu Buhari ahead the 2019 Presidential Election, against the position of the APC governors, Okorocha maintained that he would support Buhari for a second term. The chairman of the APC Governors’ Forum had earlier said all the governors would support the party’s sole candidacy of President Buhari in 2019 election but Tinubu disagreed insisting that the APC’s presidential candidate must emerge through a primary. Okorocha said, “The (Tinubu’s) statement came to me as a surprise, come to think of it, I never referred to him. I refer to the governors of Nigeria including the PDP governors and I said only one or two of them have not joined yet. “Since I made the statement, no governor has said something contrary to what I said. I am surprised that Asiwaju will now be speaking for the governors. He looks like somebody crying more than the bereaved. I did not see reason for the statement actually. But he commands my respect and I don’t want to join issue with the National Leader of my party. “What I mentioned was for the governors and secondly what I said is support. The word I use is support that does not mean there will not be primary. Governors can only contribute only 37 votes, we still have over 5,000 votes up there. What I was talking about was governors. I was not talking about other party members. Governors alone do not determine the flagbearer of a party. On the just concluded PDP convention, the chairman of the APC Governors’ Forum declared that the ruling party was not jittery about the outcome of the PDP’s convention, saying Buhari would defeat any candidate presented by any opposition in 2019 election. “There is nothing to be jittery about the outcome of the PDP’s convention. We are very confident that our presidential candidate to be; President Muhammadu Buhari is up to the task. He has impeccable track record that it would take an unusual presidential candidate of a rival political party to match him. This is the strength of our party coupled with the fact that APC governors are performing, we are sure we will deliver in 2019,” Okorocha declared.